AV Programming Associates is a boutique programming company, serving a highly specialized niche industry. As a manufacturer authorized programming company since 2001, AVPA has built a name that has been known as a major player nationally for many years. AVPA delivers programming solutions across a broad range of user environments. That's one of the primary factors that differentiates them from other Crestron programmers. The company needed an easy way to remain in the forefront of their customer's minds and a vehicle to share the projects they're involved with. Sharing project details is especially important because it serves to help others in the industry to better understand what's possible with the technology. We developed a quarterly email campaign that's delivered to customers, industry partners and decision makers. 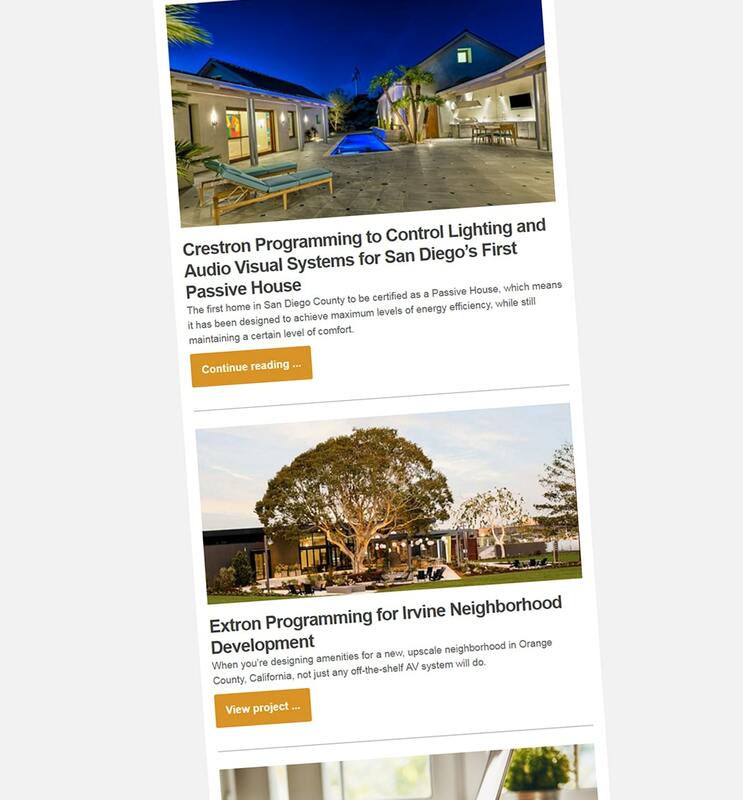 Emails include a small number of stories, featured project write-ups, and recent blog posts. All with the intention of enticing the user to click-thru and read more on AVPA's website.